Located in the Mississippi Delta, Leflore County was formed during Reconstruction from portions of Carroll and Sunflower Counties. The Tallahatchie and Yalobusha Rivers meet in Greenwood, the seat of Leflore County, to form the Yazoo River. The county was named for Choctaw leader Greenwood LeFlore. Leflore began as a cotton-growing area with high numbers of African Americans working as tenant farmers. In its first census in 1880, 78 percent of the county’s 10,246 residents were African Americans, far higher than the state average of 57 percent. Leflore was also home to 16 Native Americans and 84 foreign-born immigrants. Two-thirds of the county’s farmers were renters or sharecroppers. As in most plantation areas operated by tenants, those farms concentrated on cotton, by far the most abundant crop. Leflore’s population more than doubled from 1880 to 1900 as African Americans moved to the area in search of economic opportunity. In 1900 the proportion of African Americans had risen to 88 percent, with whites accounting for fewer than 3,000 of the county’s 23,834 people. The county was also home to a small group of German and Russian immigrants. Leflore was a cotton-growing powerhouse using sharecroppers and tenant farmers. Only 5 percent of the county’s four thousand African American farmers owned their land, while 42 percent of the 271 white farmers did so. A growing manufacturing base employed 363 men and no women. Leflore County was home to substantial Colored Farmers’ Alliance activity, led by organizer Oliver Cromwell in the late 1880s. In 1916, Leflore’s largest religious group was the Missionary Baptists. In fact, Leflore’s more than eight thousand Missionary Baptists gave it the fourth-highest concentration in the state. The county also had a substantial number of Methodists (divided among four denominations) and smaller numbers of Southern Baptists, Presbyterians, Catholics, and Episcopalians. In 1930 Leflore County was remarkable because of the number of African Americans growing cotton as tenant farmers. Leflore was home to more than eight thousand farms, 95 percent of them operated by tenant farmers—the highest percentage in the state. Leflore had a total population of 53,506, fourth-highest in the state, including 40,884 African Americans (76 percent). Leflore had a substantial population born outside the United States, with 57 natives of Italy, 41 from Russia, 38 from Palestine and Syria, and 23 from Greece. An unknown number of migrant workers from Mexico worked in Leflore and other Delta counties in the 1920s and 1930s. The county had the third-highest population density in Mississippi. 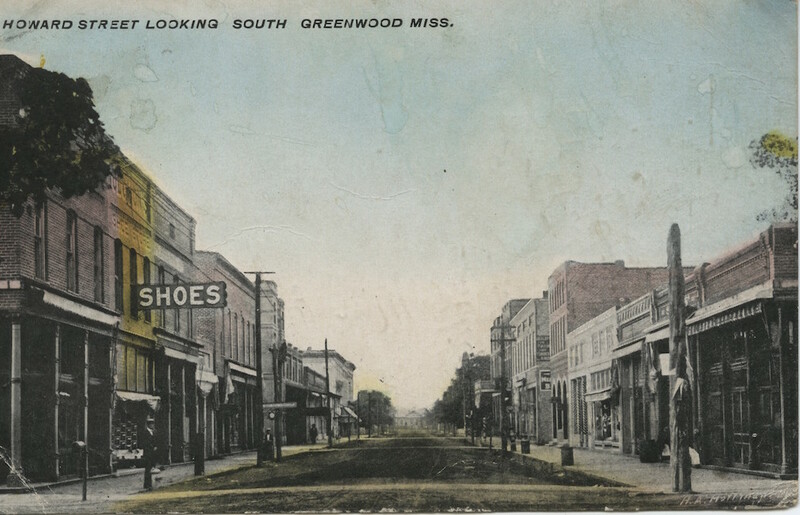 The city of Greenwood, with about 8,000 residents, was the business center for the county, and Leflore had 589 industrial workers. A variety of creative individuals grew up Leflore County. Blues musician B. B. King was born Riley B. King outside Itta Bena and Berclair in 1925. Soul blues singer Denise LaSalle (Ora Denise Allen) was born in Leflore in 1939, and blues performer Furry Lewis was born in Greenwood in 1899. As a child, singer Bobbie Gentry, famous for the song “Ode to Billie Joe,” lived with her family on a farm outside Greenwood. Blues legend Robert Johnson died in Greenwood in 1938. Numerous writers spent their childhoods in the area and went on to use Leflore County as setting and subject for their work. Lewis “Buddy” Nordan grew up in Itta Bena and wrote about the town in numerous works of fiction. Mary Craig Kimbrough Sinclair’s family had homes in Greenwood and on the Gulf Coast, and she detailed her youth and her life with Upton Sinclair in a 1957 memoir, Southern Belle. Donna Tartt, author of several novels, including the Pulitzer Prize–winning The Goldfinch (2013), was born in Greenwood in 1963. Agricultural scholar Dorothy Dickins, who spent most of her career in Starkville, grew up in Money. Actress Carrie Nye was born in Greenwood. Basketball star Lusia Harris Stewart grew up in Minter City and gained acclaim playing at Delta State in the 1970s before representing the United States in the Pan American and Olympic Games. Mississippi Vocational College opened in Itta Bena in 1950 as a segregated institution for African Americans. It changed its name in 1962 to Mississippi Valley State College and in 1974 became a university. A small public school, it is best known to sports fans as the alma mater of National Football League star Jerry Rice, who played there in the 1980s. By 1960 Leflore’s population had begun to shrink. Of the county’s 47,142 residents, 64 percent were African American, 35 percent were white, and nearly 1 percent were Chinese. About a third of the employed in Leflore County worked in agriculture. The county ranked third in Mississippi in the production of soybeans, fourth in rice, and fifth in cotton. The prominence of cotton led to the creation of Greenwood’s Cottonlandia Museum, which in 2012 became the Museum of the Mississippi Delta. Though manufacturing remained a small part of the economy, a substantial number of women worked in the clothing industry. The county was significant in several ways during the civil rights years. Teenager Emmett Till was murdered in 1955 after white supremacists overheard remarks he made at a grocery store in the Leflore County community of Money. Robert “Tut” Patterson was working in Leflore in 1954 when he helped form the first Citizens’ Council in the Sunflower County town of Indianola. In 1963 Student Nonviolent Coordinating Committee workers began organizing in Leflore, and Greenwood civil rights workers declared 25 March 1964 Freedom Day, with numerous demonstrators attempting to register to vote. Civil rights activists Amzie Moore, Hollis Watkins, Lawrence Guyot, Bob Zellner, and Willie Peacock worked in Leflore County. Both James Bevel and Marion Barry were born in Itta Bena in 1936, Laura McGhee and her children lived in the community of Browning, and Greenwood native Endesha Ida Mae Holland detailed her youth and her turn toward activism in a 1997 memoir, From the Mississippi Delta. The population decline that began in the mid-twentieth century has persisted into the twenty-first. Greenwood experienced an economic resurgence when Viking Range started building kitchen appliances there in the 1980s. Nevertheless, Leflore lost 31.4 percent of its residents between 1960 and 2010. In 2000, the county had 37,947 residents, but ten years later, that number had fallen to 32,317: 72 percent of those inhabitants were African American, 25 percent were white, and 2.3 percent were Hispanic/Latino. Catfish farming began in the county in the 1970s and by 2007 provided 786 jobs.